Entries tagged with “Restaurant winter specials”. Pigalle Sweet Service and HQ Restaurant Sour Service Awards! 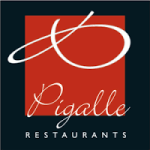 The Sweet Service Award goes to Pigalle, whose manager Warren answered the phone, and my questions regarding their Winter Specials so efficiently, being a good listener, and answering to the point! I was shocked at how poorly restaurant phone calls are answered, especially those linked to hotels, when I made calls to more than 100 restaurants for their Restaurant Winter Specials information in the last week! Our blog has been running a Restaurant Winter Specials list for the past few months, with more than 100 restaurant offers attempting to attract locals into restaurants in Cape Town and the Winelands towns, in what is traditionally a poor time for the hospitality trade. The winter special of The Kove in Camps Bay only is good value relative to what the restaurant normally charges for its dishes, and does not compare favourably to many of the restaurant specials offered. The Kove is part of a quartet of restaurants owned by Paul Kovensky (the surname being the inspiration for the naming of The Kove, no doubt), three of them being almost next door to each other in The Promenade building in Camps Bay (The Kove, Zenzero and Paranga). Pepenero is located in Mouille Point. The latter restaurant occupies a large space, and clearly was not able to attract enough custom to fill the space, and since last year has attracted food bargain hunters by offering specials. The Kove is the only other restaurant in the Kovensky Quartet to be offering winter specials this year. When we entered the restaurant on Saturday evening, after having left the over-heated and over-priced Zenzero next door, we were offered a table closest to the fireplace, which we declined, not without some attitude from the Manager Bevan (the type that knows better than you do where you would like to sit). The first thing I noticed was the tattoos on Bevan’s arms (I am sorry, but it is the most off-putting thing, something that I experienced at Leaf Restaurant recently as well). Waiter Casper presented himself soon thereafter, and gave me one of those looks that declares attitude without saying it. By “mistake”, waiter Richard also presented his services to our table, and he was genuinely nice and we requested that he be our waiter, and he did a great job in looking after us with what seemed like genuine interest. The restaurant has a raised back section, with different chairs compared to the street level section, in which the chairs look like lawn furniture, in smart white and silver frames, with white or green chairbacks (the same grass green as at Leaf Restaurant), with green blankets over the chairs, should one still be cold inside the warm interior. The lighting is dimmed to very low, making it difficult to read the menu. We had flashes of white light from the World Cup TV above us, when it changed its picture! Music was vibey, from an iPod playlist, along the lines of the Gotan Project. Riedel glasses are on the table, and good quality linen and cutlery is used. A faux library on both sides of the restaurant is meant to add a homely touch, I assume. The ceiling of the street level section of the restaurant is adorned with a mock grapevine in autumn colours, and there are plastic marigolds on the table. The menu for the Winter Specials covers two pages almost hidden at the back of the menu, and one is not told about them spontaneously (as at Five Flies and 1800 Restaurant at the Cape Royale). One has a number of choices of specials, making it feel like one is really getting a good deal, but the Specials prices are average compared to other Cape Town restaurants. First, one has the option of a two-course special, consisting only of a starter and a main course, and a glass of wine, at R 120. The problem starts with the wine. Why would a reputable restaurant offer an unlabelled unidentified white and red wine as part of the special? It cheapens the Winter Special immediately. They must have paid next to nothing for it, if they have to hide the wines’ origins. Starter choices are mussels, Prawns 3 Ways, calamari, chicken livers and a house salad. My partner had the prawns, brought to the table with a finger bowl, and the “3 ways” are 2 minute prawns each served with mustard and brandy, garlic and ginger, and orange and cumin. It was a struggle to get them out of their shells. The main course choices are fresh line fish, sirloin steak, baby chicken, beef burger and pork ribs. The portion sizes are not indicated, and a starch is served with these. (On the a la carte menu, one has to pay extra for starches, sauces and salads). The steak was served medium rare, as ordered, but was not as tender as my partner would have liked it to be, with a tendon running through it, showing that a cheaper cut of meat had been used. A good spicy and creamy Pepper Sauce was served with the steak. No desserts are offered as part of this special. Two small slices of older white bread were served, which I did not even bother to try. To do the mathematics on the special: normal price for 1/2 prawn portion R45 + sirloin steak R85 + sauce R 20 + mash R20 = R170 (Special price charged plus glass of unidentified wine R120) – however, paying R125 for the 200 – 250 gram sirloin, mash and sauce on the a la carte menu is excessive anyway. In addition to the two-course special, one can order oysters at R 9 each, 1 kg of prawns or Karoo lamb chops at R99, fish and chips at R79, 400 gram ribs at R75, and a seafood platter at R129. On the surface these prices are not bad at all, until you realise that these are standard prices elsewhere, and more expensive than some of the other specials offered elsewhere at the moment (e.g. a 6-course dinner for R150 at Myoga and at La Mouette). I had the lamb chops, three served on a large plate with the mash served lukewarm after the meat was brought to the table, in a side dish. The steak knife provided was super in getting to the bone. I loved the ‘braai’ taste of the chops, which Richard told us came from the special basting sauce. I would have liked to have a finger bowl. The chops were ordered medium, but the meat closest to the bone was raw. Ten cocktails are part of the specials list, at R25 each, but we were given the cocktails menu (with peeling plastic cover), showing a Mojito at R40, and were not told about the specials. As part of the Winter Special, The Kove also serves “tappas” between 3 – 7 pm, and two cost R 45 and three cost R60. One has a choice of twelve, including hake goujons, pop-corn prawns, deep-fried halloumi, teriyaki salmon and stuffed jalapeno poppers. The a la carte menu has starters ranging from R 50 for a mussel pot, seafood chowder, goat’s cheese tartlet and buffalo wings, to R 90 for 12 of the prawn 3-ways (having seen them on the special, and being seawater prawns, this is hugely expensive for what one gets), and salads cost R 40 – R 75. A wide selection of steaks (fillet, sirloin, entrecote, chateaubriand), each in two weight options, is offered, a 250 g sirloin costing R85 and a 500g Chateaubriand costing R200. Unspecified Venison costs R120 for 250g, as does baby chicken. Starches are extra at R 20 each, as are a selection of five sauces, also at R 20 each. A Braai section offers a 1,2kg fillet to share at R395, “kreef” at R 195, ribs, an identified skewer and fish. A number of seafood options are available, a seafood platter costing R295, calamari costs R80, and baby kingklip R130. For dessert we shared an odd item on the a la carte dessert menu, being waffles with syrup and cream, perfectly executed, at R 45. Other desserts include apple crumble, and pecan nut pie, costing between R35 – R45. The Cappuccino was made with LavAzza coffee, but was thin and not the best I have had. The wines-by-the-glass at The Kove are very expensive, being based on three glasses out of a bottle. The difference in price between the cheapest shiraz (Spier 2009) at R 30 and the next up at R95 per glass of Kevin Arnold made me choose the former, a grave mistake, in that it was so bad that I could not finish it. I asked for the wine to be poured at the table, but the manager was about to refuse this, when he changed his mind. I wondered what I would have been served (perhaps the same unlabelled wine for the special?). No vintages are specified on the winelist, nor are the wine varietals or brands described. The 15-page beverage list is Fleur du Cap-branded throughout, on every page, even though only two of their wines are offered out of the more than 100 wines on the winelist (and typed as “Fleur de Cap”!). The winelist is introduced with notes on “Matching wine with your food”, highlighting the essence of “paring” being “seeking to achieve a balance in your personal tastes”. It indicates which wine types (e.g. “high acid wine”) go with which food types, and lists white wines with high acid as including Sauvignon Blanc, Riesling, and sparkling wines; and red wines with high acid level Pinot Noir, Sangiovese and Gamay. The effect of adding salt to the taste of the wine was an eye-opener, in that it reduces the astringency of wines. Riedel gets a half page punt and branding, and the benefits of decanting wine is highlighted (although not practised, in that it may have made the young Spier more palatable). Fifteen champagnes are offered, ranging from R1 000 for Laurent Perrier Brut Rose and Louis Roderer Brut, to R6000 for Dom Perignon Rose’. One can order seven of these by the glass, starting at R 140 for the Moet et Chandon Brut Imperial to R 220 for Veuve Cliquot Vintage. Only five Methode Cap Classiques are offered, two Graham Beck and Pongracz each, and Boschendal, ranging from R180 – R320. The Graham Becks are served by the glass too. A large selection of Chardonnays is offered, dominated by Hamilton Russell (R420), with Muratie Isabella at entry level (R175), and Sauvignon Blancs (between R180- R250). Fewer red wine choices are offered by varietal – the Shiraz category costs from R200 – R280, but has the Spier at R130. Four Organic wines (Avondale Chenin Blanc, Reyneke Reserve white, Waverley Hills Cabernet Sauvignon and Stellar Merlot), and two Kosher wines made by Backsberg, are also available. Bevan came to the table, to give us our Loyalty Card, and annoyed me when he told me that it is only for South Africans. 10 % of the value of one’s meal is added as points to one’s Loyalty Card ‘account’, redeemable at any time on presentation of the card. This would bring value to dining at The Kove, but problems with the system in the past two years has made me sceptical about the accuracy of their record keeping, as they claim to have lost details of our guests having eaten there in the past, and therefore the redeemability of the points. The Kove is one of the few places that has served a good steak in Camps Bay in the past, but the winter special does not reflect this quality. It is expensive if one orders off the a la carte menu, and its “winter specials” are only specially priced relative to the normal high prices the Kovensky Quartet charges, and seem to be poorer quality cuts, with unacceptably poor quality wine, thus not making The Kove value for money. The Kove, Shop 2A, The Promenade, Victoria Road, Camps Bay. Tel (021) 438-0012. www.thekove.co.za (full menu and winelist featured).